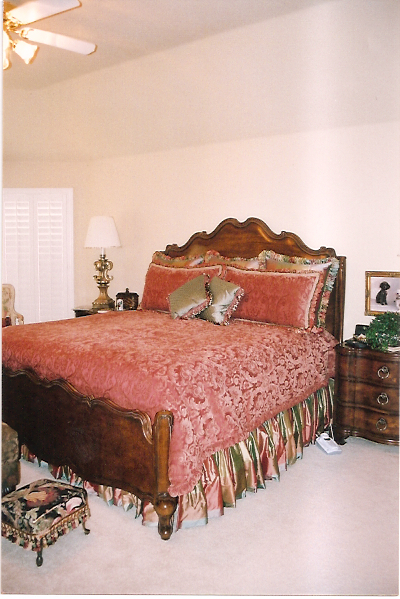 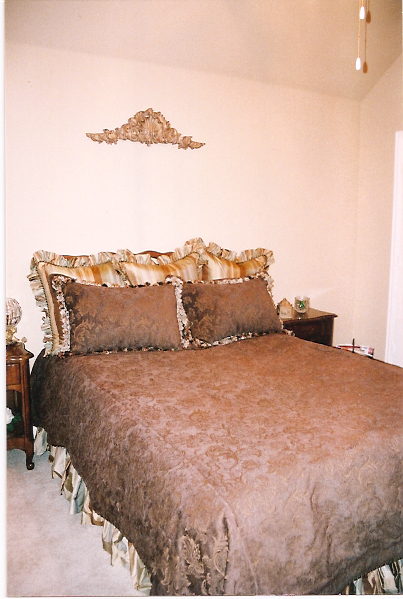 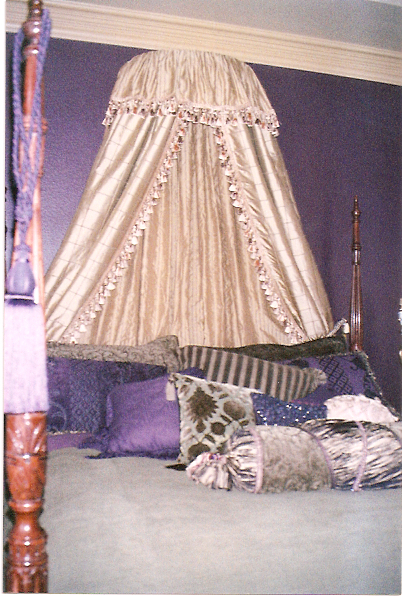 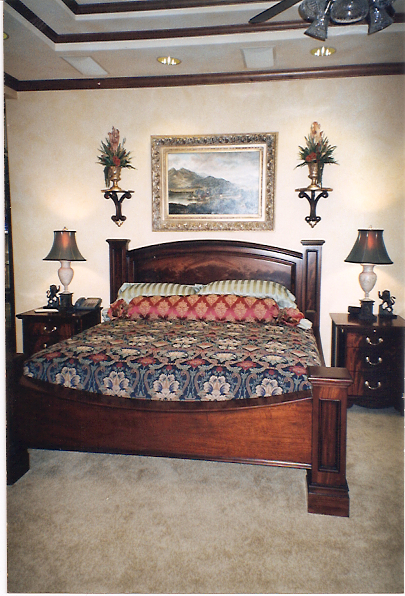 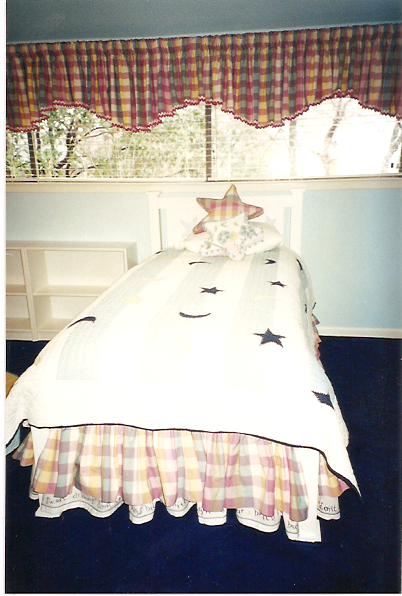 Custom Drapes, Top Treatments, Headboards, Swags, Pillows, etc. 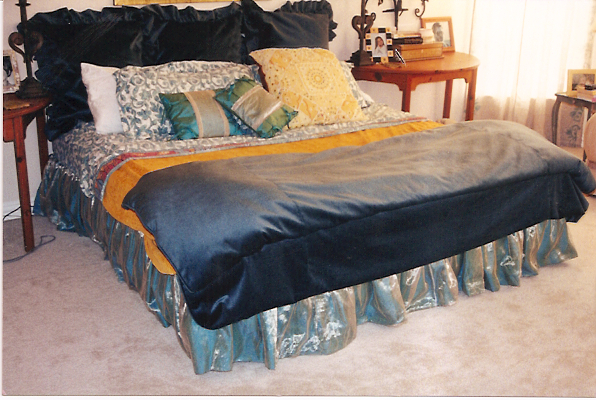 We offer a large assortment of bedding and accessories to include comforters, bedspreads, coverlets, duvet covers, dust ruffles, pillow shams and decorative pillows. 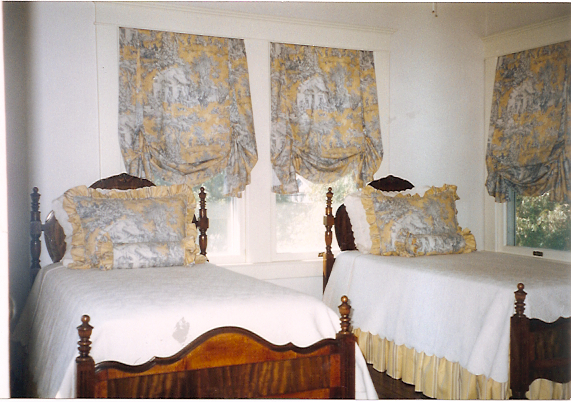 Matching curtains,valances and table rounds or table runners are always available to complete your room. 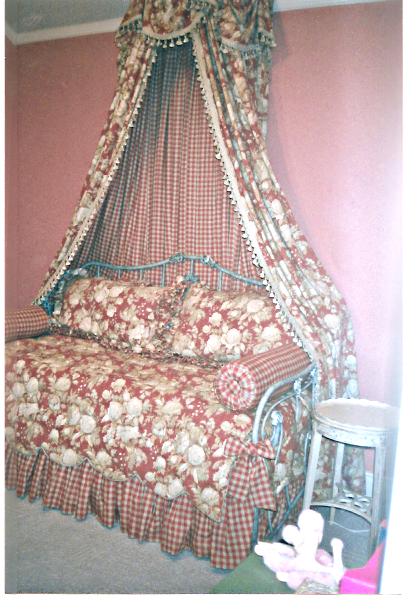 If you have an adjoining bathroom, you can get a matching shower curtain as well.